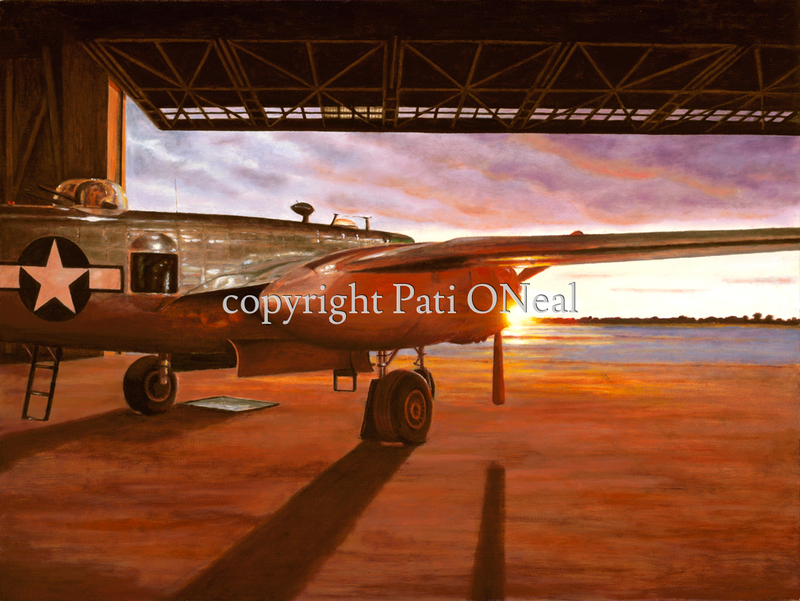 North American B-25 Mitchell Yankee Warrior awaits a new day. Original oil on canvas available, contact artist for purchase information. Limited edition giclées and matted mini-prints also available.